Most of the condos in Waikiki were built in the 1960’s and 1970’s. Many of them were built at a time when many Canadians were coming to Hawaii to purchase vacation homes. Two well-known condos from that era and the famous Ilikai and Foster Tower. As the neighborhood has become more and more dense, there is less opportunity for new buildings. Not many condominiums in Waikiki have been built since 1980. Some notable from the 1980’s are Waikiki Beach Tower and Liliuokalani Gardens. The Waikiki Landmark was the only building to be built in the 1990’s in Waikiki. Since 2000, Waikiki has seen several exciting developments including the Watermark, the Allure, Lanikea condo and Trump Waikiki. For the future, the Ritz-Carlton East and West Towers are under construction and expected completion is 2017. There are other future developments in the works too. Waikiki is one of the most well known destinations in Hawaii. Tourists flock here to enjoy the beach, shopping and restaurants. While there are many hotels in the is neighborhood, there are long term residents too. People enjoy the climate and how walkable Waikiki is and therefore want to call it home. Waikiki is clearly defined with the ocean and the Ala Wai canal. This dense area has many shops and restaurants. No matter where you are in Waikiki, you are no more than a few blocks from the beach. People love to live. Many say it makes them feel as if they are on vacation everyday. From most anywhere it is no more than a few blocks to the beach. There is a fun nightlife in Waikiki. The hotels that line the beach have entertainment and offer drinks, while watching the sunset. There are a lot of studio and 1 bedrooms units here. Two-bedrooms units are less common. Three-bedroom units are rare. Parking can be a challenge in some buildings. There are many different types to choose from. There are some specifically for long term residents and others that are can be rented nightly just like a hotel. All Waikiki real estate listings below are updated in real time. Let us help you find your dream condo. 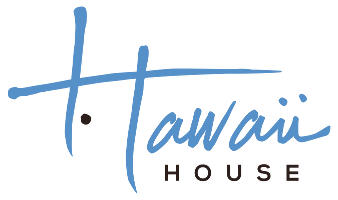 Call 1-808-394-9779 to talk to a Hawaii House agent. Welcome to The Ritz-Carlton Residences #I-2501, the Pinnacle of Luxury & Prestige in Waikiki. This split-level 4-bedroom + den estate-in-the-sky features captivating architecture with soaring ceilings, a chef's kitchen, formal dining area, two resort master suites & more. Nearly 3,500 sq.ft. of indoor/outdoor living provide ample room to entertain friends, family, & guests with the turquoise & sapphire Pacific as your back drop. Incredible location with high-end shops, casual & fine-dining, and beach activities nearby. Paradise awaits at the Ritz Waikiki! Stunning landmark luxury & prestigious lifestyle in Ritz Carlton Residences newly completed Diamond Head tower. Captivating attention to detail & fine finishes adorn this spacious 2 bedroom, 2 bath ultra-luxe retreat. Two separate ocean view lanais enjoy dynamic vistas of gentle rolling waves, green parks, sunsets & sea breezes. Situated blocks from Waikiki's sandy shores & nearby premier dining, upscale shopping, water sports & strolls along the beach. Uncompromising luxury, resort lifestyle; this is The Ritz-Carlton Residences in Honolulu. This is the finest and most prestigious hotel condominium in Hawaii. Relax and enjoy the ultimate resort life with The Ritz-Carltonâs signature services. Fully furnished and includes upscale appliances and granite counter-tops, kitchenware, bath amenities, and linens. Within the hotel is renowned sushi chef, Mr. Nakazawaâs Sushi Sho restaurant, and a Dean & Deluca market. A very devoted concierge service and complimentary valet parking service for owners. HUGE PRICE REDUCTION!!! This unit features Ocean View, Marina View, Garden View and Ala Wai Canal View. The unit is cul de sac, which has three direction's (east, south & west) windows or lanais with much cooler and more breeze. Newly upgraded with bamboo floor throughout the unit and upgraded Lanai floor with luxury tiles. The bathroom offers a deep soaking tub and BIDET system in every bathroom. The kitchen counter top has been upgraded with new touch. Designer upgraded includes wood flooring, closet systems and window coverings. Trump Tower Waikiki verifies luxury in 2019 as Honolulu's only 5 star Hotel as rated by Forbes Travel Guide. Imagine coming home to this thoughtfully designed 2 bedroom, 2 bath residence with Ocean and Diamond Head views and only steps away from renowned Waikiki beach and Waikikiâs world-class shopping and dining. The satisfaction of ownership is redefined with world-class amenities like an Infinity Pool, Fitness Center, Spa, Meeting Room, Library, Concierge/Valet services and Dining all within your ultra-luxury residential resort property.